This week, the House voted to approve a bill previously passed by the Senate to address the K-3 class size issue. The bill was presented to Governor Cooper, who has stated that he will allow it to become law. In addition, the House took no action on legislation addressing GenX but referred it to committee for further review. Both chambers formally adjourned on February 12th to return Wednesday, May 16th for the short session. NCACC’s Board of Directors recently approved legislative priorities for the short session which can be found here. The House approved legislation passed by the Senate last week (House Bill 90) phasing in over four years the class size reduction mandates for grades K-3, which were originally set to take effect July 1, 2018. The bill also eliminates the current waitlist for NC Pre-K and sets aside a separate funding allotment for enhancement teachers. Governor Roy Cooper said this week he would allow the bill to become law without his signature. It goes into effect 30 days after the legislature adjourned on February 12th. This week, as the General Assembly debated class size, lawmakers acknowledged the need to address the growing school capital needs throughout the state. Although House Bill 90 provided appropriations for operational costs associated with class size reductions, it did not include any assistance for additions, renovations, new construction or other capital costs needed to implement the class size reduction mandate. Former county commissioners Sen. Tommy Tucker (Union County) and Rep. Kevin Corbin (Macon County), among others, specifically brought up the need for more school capital funding during floor debates in both chambers. Additionally, Governor Cooper referred to public school construction needs in his remarks on the bill. School construction needs throughout North Carolina exceed $8 billion, a figure established before the class size changes were taken into consideration. 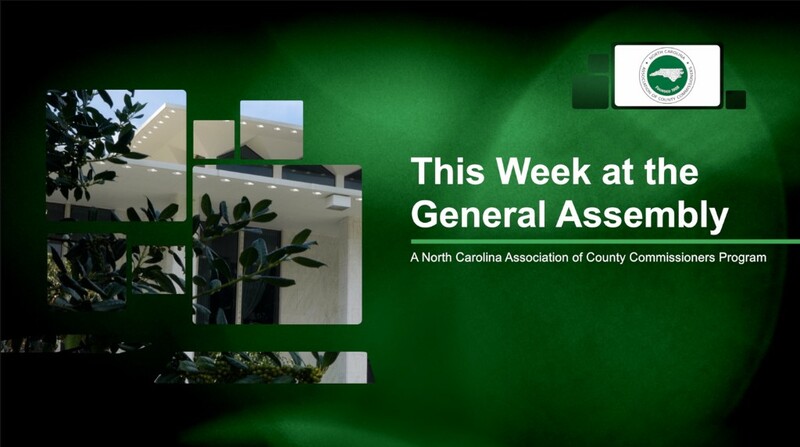 This issue is the number one legislative priority for the Association, and the NCACC will continue to advocate for increasing state resources for school capital during the 2018 session. For the 2018-2019 school year, the average class size for kindergarten through third grade will remain the same as the current school year. Class size averages must not exceed 20 students, and any individual classroom cannot exceed 23 students. For the 2019-2020 school year, the average class size for kindergarten through third grade must not exceed 19 students, with an individual class size maximum of 22 students. For the 2020-2021 school year, the average class size for kindergarten through third grade must not exceed 18 students, with an individual class size maximum of 21 students. Second and third grade average class size of 17 students, with a maximum of 20 students. Current funding for classroom teachers will not be reduced to pay for enhancement teachers. School districts will continue to receive full funding allocated in 2017-2018 to pay for classroom teachers. Under the legislation, school districts may continue to use classroom teacher funds to pay for enhancement teacher positions until July 1, 2021. After that date, once the enhancement teacher allotment is fully funded and the class size reduction fully implemented, school districts may not transfer funds from classroom teacher allotments to pay for enhancement teachers. However, funds allotted for enhancement teacher positions may be used by school districts to hire classroom teachers in grades K-12. In addition to the K-3 class size phase in, House Bill 90 provides $9.35 million in fiscal years 2019-2020 and 2020-2021 with the stated purpose to eliminate the current NC Pre-K waitlist, further addressing an NCACC legislative goal to increase state funding to support access to early childhood education. The increase is a recurring appropriation that will go into the baseline funding for NC Pre-K taking the total funding to more than $82 million in 2019-2020 and more than $91 million in 2020-2021 and each year thereafter. The House did not take up the Senate’s version of a bill addressing the ongoing GenX issue, adjourning before debating or voting on House Bill 189 (Water Safety Act). The House did refer the bill to the House Select Committee on North Carolina River Quality, which has been that chamber’s avenue for studying and considering legislation on the GenX issue. That committee is scheduled to meet on February 21st. For an explanation of how each chamber’s bill versions differ, please review last week’s legislative brief.